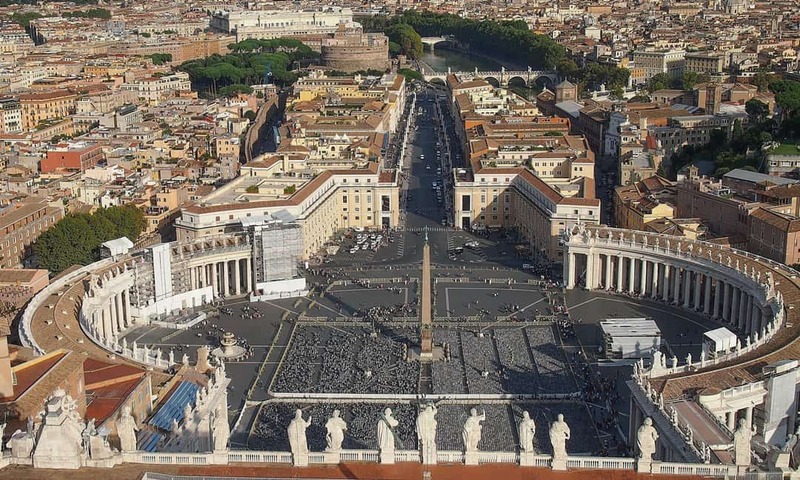 Images of Saint Peter’s Square are frequently broadcast around the World. Not surprising really given that this is at the public heart of the Vatican City. Cameras tend to be directed towards St Peter’s Basilica and its iconic Renaissance dome, which dominates the skyline of Rome. Another monument also features prominently in these images; and that is the obelisk that stands at the centre of the square. An obelisk that was brought to Rome from Egypt by Caligula in 37 AD. But, why does the Vatican have a four thousand year old Egyptian obelisk? There are a number of Egyptian obelisks standing in Rome, in fact 13 of them. There are more erect obelisks from Egypt in Rome than there are anywhere else in the World, including Egypt. They were all brought to Rome by various Roman Emperors. This particular example, often called the Vatican Obelisk and sometimes Caligula’s Obelisk, is the only ancient Egyptian obelisk in Rome to have remained standing since Roman times. Sadly, little is known of its origins or which Pharaoh ordered its construction, because it has no hieroglyphs on it that would record that information. It was certainly quarried in Egypt and intended to be erected in Heliopolis. Sometime between 30 and 28 BC the red granite obelisk shows up in Alexandria under Augustus’s instructions to have it erected in the Julian Forum there. It was Gaius Caligula who had the obelisk bought to Rome in 37 AD. It was the largest non-inscribed obelisk to leave Egypt, at 25.5 m high and weighing an estimated 326 tonnes. The obelisk was originally erected in gardens Caligula had inherited from his mother, and then on the central spina of a circus that was started by Caligula and completed during Nero’s reign. Much of this circus is under under the basilica and square, the original spot for the obelisk is near the present-day sacristy, south of the basilica (red marker on the map below). Looking down from the dome of Saint Peter’s Basilica, over Saint Peter’s Square with the Vatican Obelisk at the centre. Because of the solid pedestal on which the obelisk was placed, it remained standing for 1,500 until it was moved to where it stands today in Saint Peter’s Square. It took thirteen months, between 1585 and 1586 to move and re-erect the obelisk. The idea to move it was that of Pope Sixtus V, as part of his desire to recover and re-erect all the obelisks lying then in the ruins of Rome. Legend had it that the original metal globe that was placed at the top held the ashes of Julius Caesar. During the re-siting of the obelisk, the globe was opened and found to be empty. The globe can now be seen in the Museo dei Conservatori. The cross at the top of the obelisk today is said to have certain relics of Jesus Christ. For anyone interested in reading more about the various Egyptian obelisks scattered in cities around the World, I thoroughly recommend Susan Sorek’s The Emperors’ Needles. Sorek’s book provides fascinating biographies of each of the obelisks, explaining why these objects were so significant to Roman rulers. Looking at the Vatican Obelisk with Saint Peter’s Basilica in the back ground. The current position of the Obelisk is marked in Green, as is Hadrian’s Mausoleum – which is now called Castel Sant’Angelo as it became a Papal residence. The passeto was built in 1277 along the top of the ninth century wall, this passage was constructed to provide an escape route running between the Vatican and the Castle. The route of the passetto is marked out with blue pins in the map above, as it runs along Via dei Corridori. The approximate position of the obelisk on the spina of the circus is marked with a red pin. Using your mouse drag the yellow Pegman (bottom right) on to the aerial view and place it on one of the blue lines or dots that will appear and you will get street view. You will even be able to walk alongside the passeto. The Omnia Vatican and Rome Card gets you free or reduced entry into most of the main attractions in Rome and Vatican City over a three day period (consecutive days). Public transport is also available for Omnia cardholders, as is fast track entry into many sites and museums. 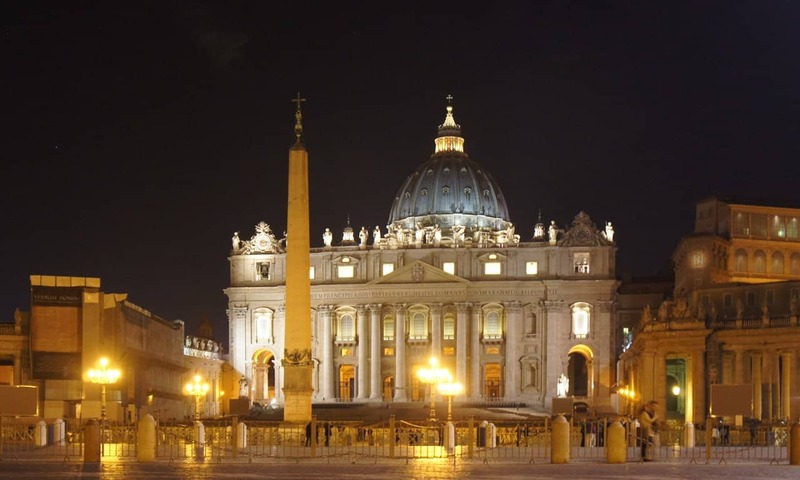 There are a number of tours of various aspects of the Vatican City. One of the highlights of the Vatican Gardens and Vatican Museums Tour is the Our Lady of Lourdes grotto. Take a two-hour tour of St Peter’s Basilica, or a tour that includes a entry to the top of the Cupola with stunning views over Rome. For something special, after an early buffet-style breakfast in the Pinecone Courtyard enter the Vatican Museums before the general public. 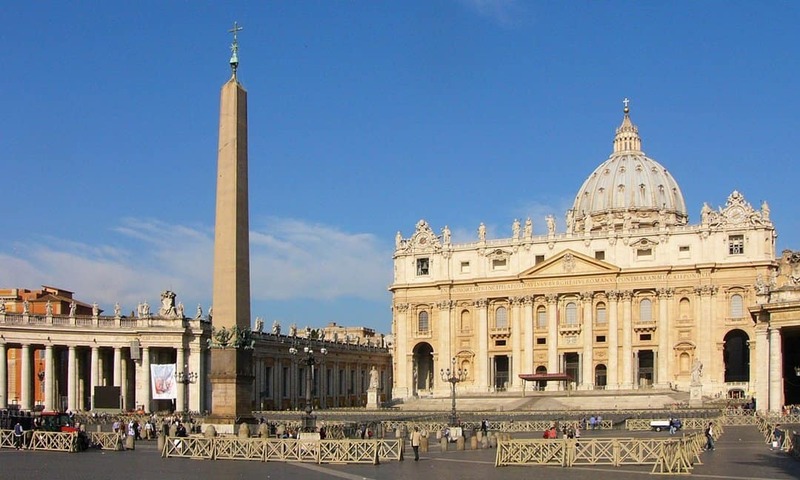 If you have a whole day to spare, try the Vatican in One Day, which is the most comprehensive tour of Vatican City and the only tour that takes in all the Basilicas and the museums. The tour also includes Michelangelo’s Sistine Chapel, the Gallery of Maps and Raphael’s Rooms. Or have a look at the variety of tours and activities on offer for visitors to the Vatican City and Rome.